The Retriever (packed with 5/16" 1000 lb MFP Polypropylene Core rope) and Golden Retriever (packed with 5/16" 1000 lb MFP Spectra Core rope) are the benchmark for all other rescue bags. The combination of tow tether and throw rope makes these bags the most widely sought waist worn rescue bag in the industry. 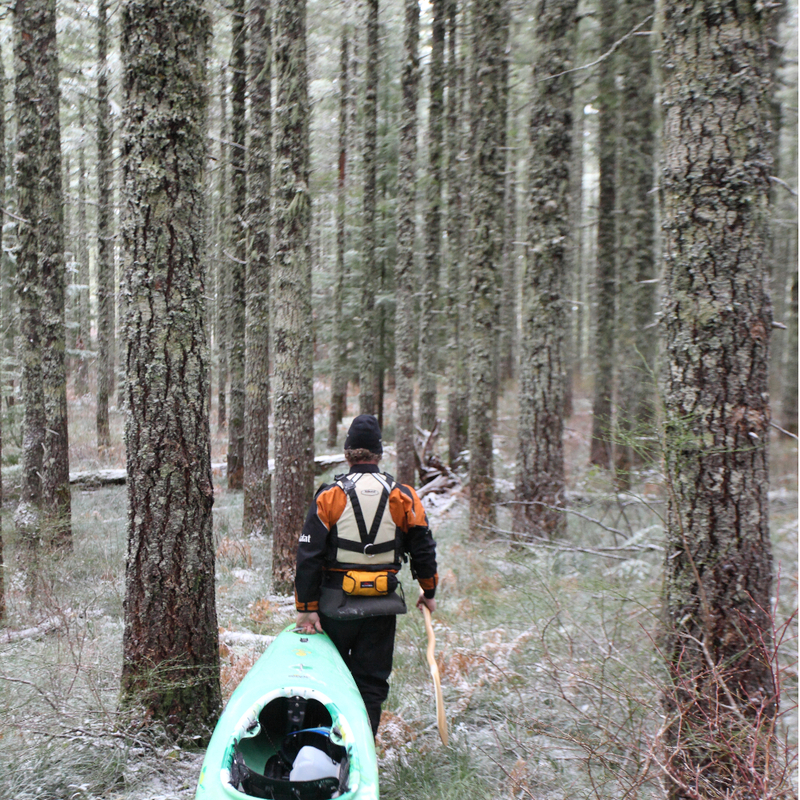 The bag rides comfortably below your PFD and out of the way of kayak cockpits, an oh so natural fit! Popular among paddle rafters and guides who often rely on the 8' of tether line with carabiner to quickly set up a flip line! Padded Waist Band: 5" x 11"
The Best throw bag out there! I have used the Golden Retriever for years on class V whitewater. With the waist belt system it is always within reach and ready before you are. Rescue situations happen in the blink of an eye and having a throw bag in reach at all times is a priceless necessity. Just ask your friend after you pull them out of the water. 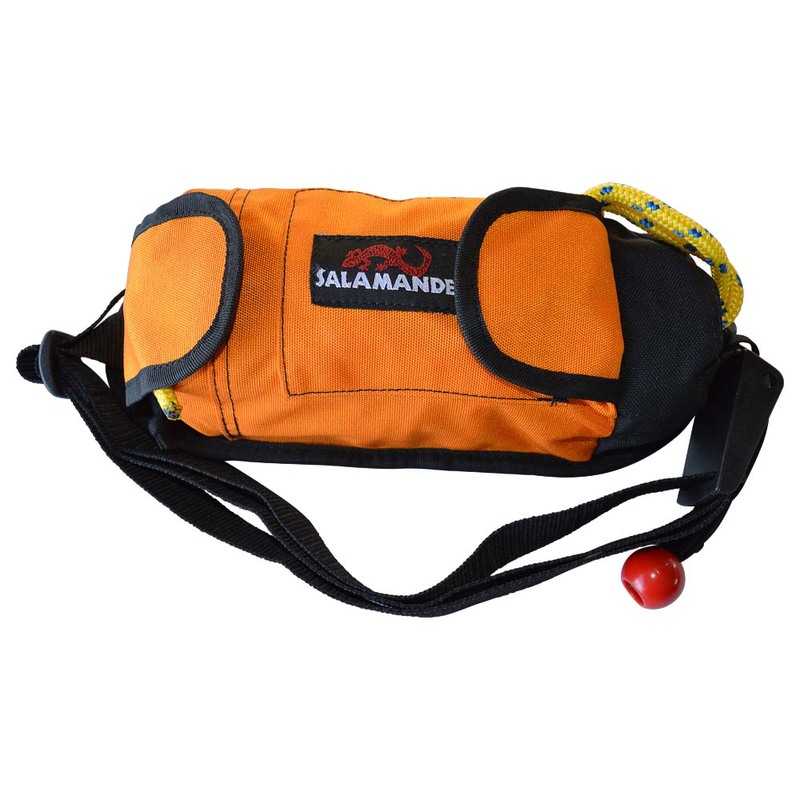 Thanks Salamander for making this bag before I started kayaking, it has been a great piece of gear!